SAN DIEGO, CA – May 28, 2014 — Youngevity International Inc. (OTCQX: YGYI) (www.YGYI.com), a global direct marketer of lifestyle and nutritional products and gourmet coffee, announced today the exciting results of research studies performed at the prestigious Richardson Center for Functional Foods and Nutraceuticals (RCFFN) at the University of Manitoba (www.rcffn.ca). The RCFFN is one of the most advanced bioprocessing and product development facilities in the world that focuses on the research, discovery, and development of innovative functional foods and nutraceuticals. The research team at the RCFFN evaluated the safety and health benefits of the following Youngevity® signature products; Beyond Tangy Tangerine 2.0 and the Healthy Start Pak 2.0, which consists of the Beyond Tangy Tangerine 2.0, Beyond OsteoFx 2.0, and Ultimate Essential Fatty Acids. The study was overseen by Dr. Peter Jones, Director of the RCFFN and one of the world’s foremost researchers in dietary and nutraceutical determinants in the control of fat, energy metabolism, and various other critical health issues. Additionally, the study was conducted by Dr. Ramprasath Vanu Ramkumar, Adjunct Professor and Research Associate for the Department of Human Nutritional Sciences at the University of Manitoba. “When initially developing the study outline for Youngevity, it was critical to investigate the important areas where the products could be of benefit and demonstrate a high level of safety, I believe we have accomplished that, these were very well thought out studies,” said Dr. Peter Jones, RCFFN Director. Safety: RCFFN tested various levels of organ functions and metabolism to demonstrate the safety of Beyond Tangy Tangerine 2.0, Beyond OsteoFx 2.0, and Ultimate Essential Fatty Acids. The biochemical indicators and measurement showed normal functioning and metabolism of the liver, kidneys, and heart after supplementation with Beyond Tangy Tangerine 2.0 and the Healthy Start Pak 2.0 demonstrate no adverse reactions to these organs. Weight Loss: Consumption of the Beyond Tangy Tangerine 2.0 as well as the Healthy Start Pak 2.0 significantly reduced the absolute weights of White Adipose Tissue (WAT) as well as WAT weight percentage of whole body weight. The study showed a significant reduction in adipose tissue weight and body fat mass. Bone Health: Significant reductions in plasma concentrations of Alkaline Phosphatase, ALKP, an enzyme that promotes breakdown of bone were observed along with increases in concentrations of the bone building minerals, calcium and phosphorus. Support for Normal Inflammatory Response: Inflammation was induced in the animal models by feeding them a high fat and sugar diet that triggers the Interleukin-6 inflammatory marker. After supplementation with both the Beyond Tangy Tangerine 2.0 and Healthy Start Pak 2.0 a significant reduction of the inflammatory marker was observed demonstrating support for normal inflammatory responses when placed under stressful conditions. “It’s very important that studies such as these are done in a unbiased, highly respected, academic setting. Consumers can feel confident in the results of these studies because of the “arms length” relationship that RCFFN had with Youngevity, we reported everything we found,” said Dr. Ramprasath Vanu Ramkumar, University of Manitoba Associate Professor. 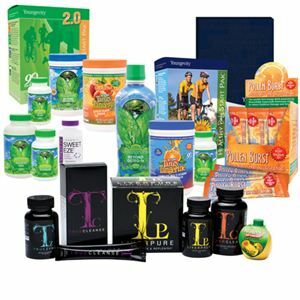 “Building on the previous research Youngevity performed with Clemson University, the RCFFN study results further substantiate the incredible potential value and benefit our consumers can receive with the Youngevity products. Youngevity is one of the few companies that provide such comprehensive research along with their products and we are proud to do so,” said Sanjeev Javia, Youngevity Scientific Advisory Board Member. This release includes forward-looking statements on our current expectations and projections about future events. In some cases forward-looking statements can be identified by terminology such as “may,” “should,” “potential,” “continue,” “expects,” “anticipates,” “intends,” “plans,” “believes,” “estimates,” and similar expressions. The forward-looking statements contained in this press release include statements regarding the results from the study at RCFFN, the value and benefits of our products and the Company’s expected future growth. These statements are based upon current beliefs, expectations and assumptions and are subject to a number of risks and uncertainties, many of which are difficult to predict. The information in this release is provided only as of the date of this release, and we undertake no obligation to update any forward-looking statements contained in this release based on new information, future events, or otherwise, except as required by law.